Recipes from your mom and your childhood have a special place in the recipe box. For starters, in my case they actually exist physically in a recipe box unlike a lot of my other recipes that are scattered around in various places like cookbooks and websites that I can only find through Pinterest if I could just remember which board they’re posted on. 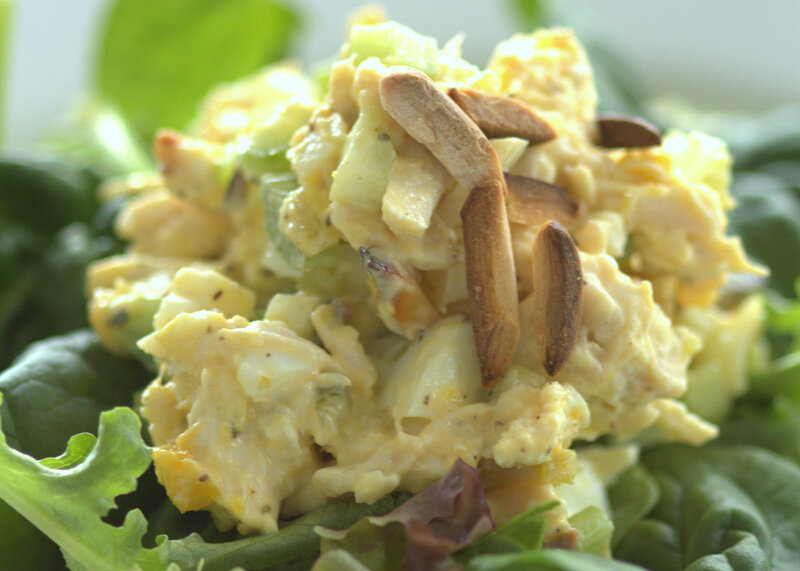 My mom’s chicken salad has been one of my favorite foods for as long as I can remember. Isn’t it funny how food can link you up to a really specific memory? I think maybe that’s why I like food so much – it just makes life more significant. It makes stupid little moments more important and more memorable. For some reason, I have this one perma-memory of eating this chicken salad, and it comes to mind EVERY time I eat it. I was getting home from my waitressing job one Saturday evening in high school, and no one else was home, but my mom left a batch of chicken salad and sandwich buns for me to have for dinner. I was SO ELATED. As usual, when I came home from work, I was exhausted, I was hungry, and I smelled like salad dressing, and there was nothing I wanted more than a chicken salad sandwich. That’s it. 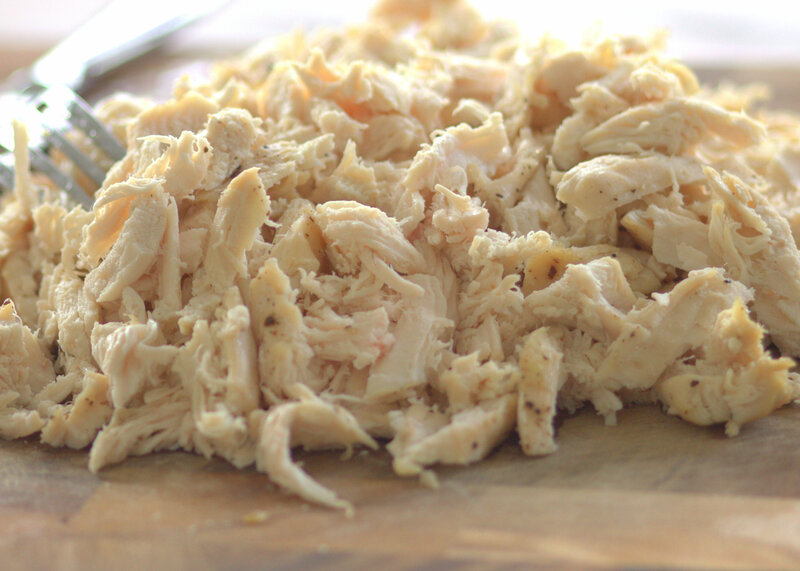 That’s the whole thing… I know that’s weird, but that’s what I think of when I think of chicken salad. 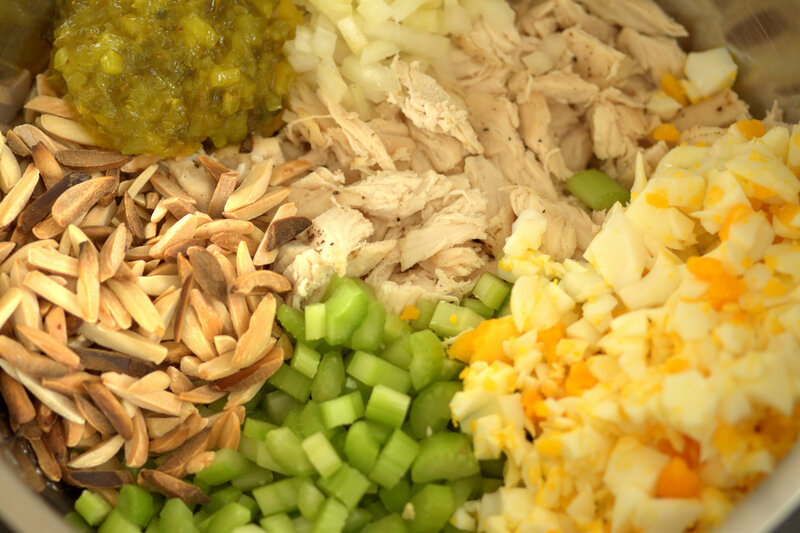 The chicken gets combined with hard boiled eggs, celery, sweet pickle relish, onions, and most importantly, toasted almonds (the world’s single most perfect food). In fact, if I had to choose a reason I love this particular chicken salad so much (other than sheer sentiment), I’d say that it’s the almonds. They’re crunchy right when you need something crunchy. Chicken salad is a lot harder to photograph than muffins, unfortunately. While the pictures may not be the prettiest ones I’ve ever posted, the recipe is delicious enough to make up for it. Trust me. 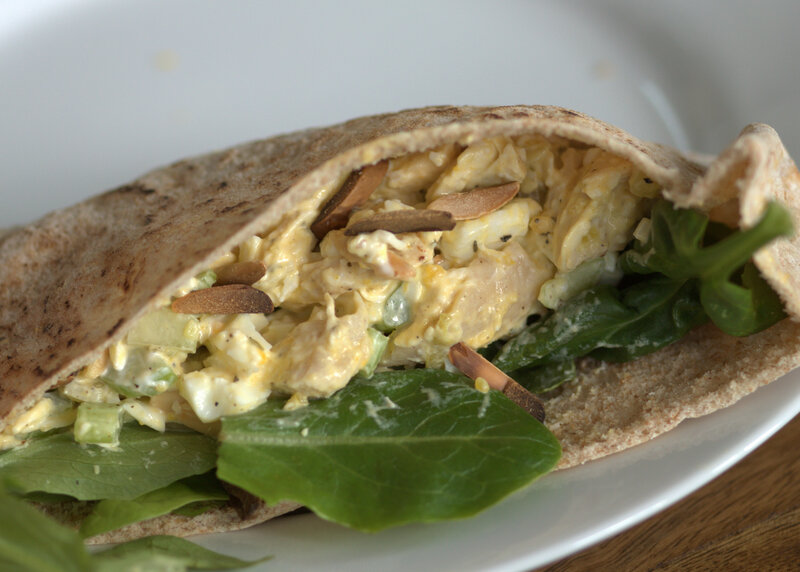 I’d suggest eating this chicken salad either on sandwich buns or in a pita or else on a bed of mixed greens. Or straight out of the bowl, standing right in front of the refrigerator with the door still open (like I do). Lightly toss ingredients together. Refrigerate and chill several hours. Serves 3-4. I am honored that I made the post!! That’s a sweet story and I never knew about your memory. I have to say I loved your slight adjustment of eating it in a pita with lettuce. That was a perfect change from eating it on a plain bun. Very yummy! Thank you! Yeah it’s a totally random memory, but weird stuff sticks with you, right?? 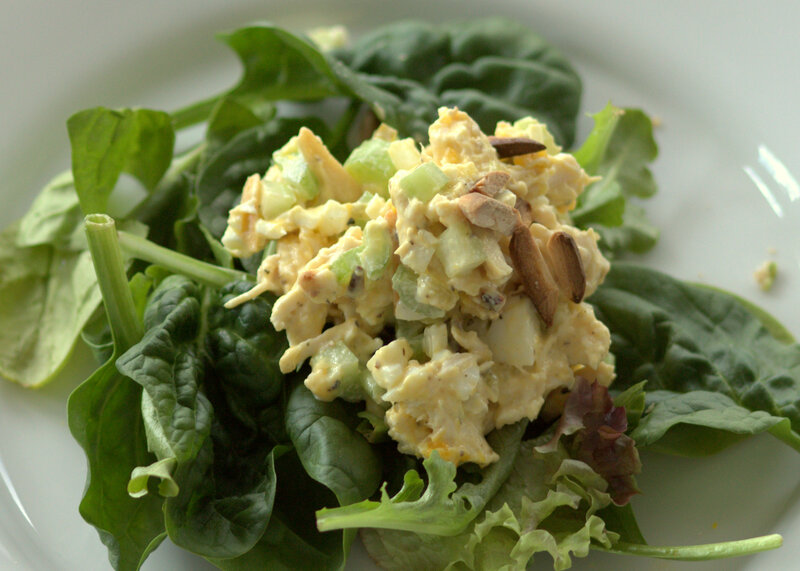 I really liked reading your post on chicken salad ~ and it looks delicious, too! Another great recipe I’ll have to add to the list of ones to try! !